#SCGRICH this weekend marks the first SCG Tour® stop of Season Three as well as the final Standard Open with Magic Origins and Dragons of Tarkir. We will soon have new cards and a brand new format, but before that I like to take a look back and see where the format has been. With Kaladesh spoiler season almost upon us, let's take a look back on some of the pillars of the format from Magic Origins and Dragons of Tarkir that will be rotating with the release of Kaladesh. Let's start with the large elephant in the room. Although it was just a Standard-role player when it was first released, the format has revolved around Collected Company ever since last fall's rotation. Now, I've played my fair share of Collected Company and I'm probably one of the few that will be sad to see it go. It's going to be weird to not go through spoiler season looking for new creatures that have converted mana cost three or less to use with Collected Company. The departure of Collected Company will have a great impact on the format, not only in terms of the variance that is associated with the card but also because midrange creatures that were soft to Reflector Mage will have a chance to flourish. Even though Reflector Mage itself does not rotate and will still be a part of the format, the fact that Collected Company will not be around means that finding the second or third Reflector Mage in a game will be much more difficult. Languish has been the best sweeper in Standard since it was printed last summer, and has been the backbone of control decks ever since as it's the only four-mana sweeper in Standard. It will be very interesting to see if there are any sweepers in Kaladesh, because if there are not, then the delirium and control decks that rely so heavily on Languish will need to adapt to survive. 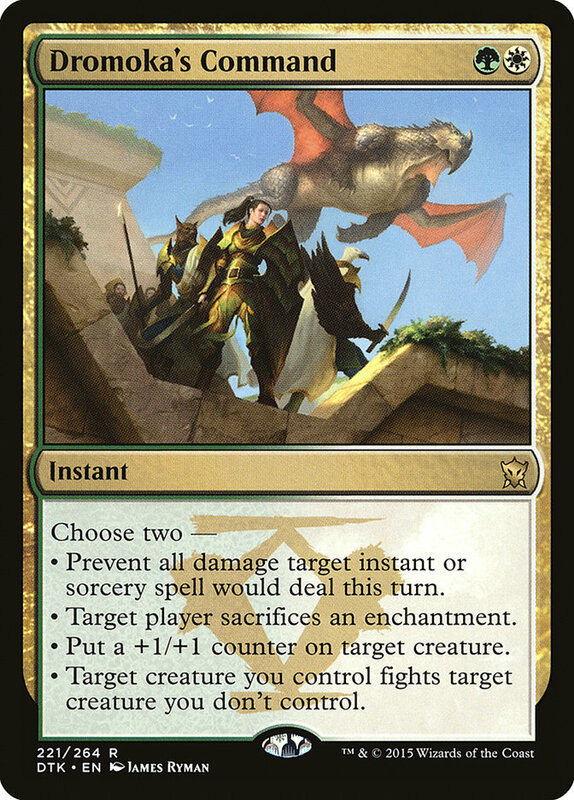 For example, a card like Kalitas, Traitor of Ghet may see even more play to help these decks beat aggressive strategies while still being good in mirror matches without Languish. Post-sideboard midrange matchups have been dominated by Tragic Arrogance for the last few months, and no longer will decks such as Bant Company or G/W Tokens have a “reset” button. Tragic Arrogance has warped games in such a fashion that the person who drew the card would play in such a way to maximize it by casting fewer threats, while their opponent would have to respect it and commit less to the battlefield. The effect would snowball and cause the post-sideboard games to play out very slowly. One of the best strategies when behind in these matchups is to play as though you had a Tragic Arrogance to try to slow your opponent down, hopefully allowing yourself enough time to catch back up or actually draw the Tragic Arrogance. I'm going to be very interested to see what kind of mass removal will be printed in Kaladesh to make up for the losses of Languish and Tragic Arrogance. 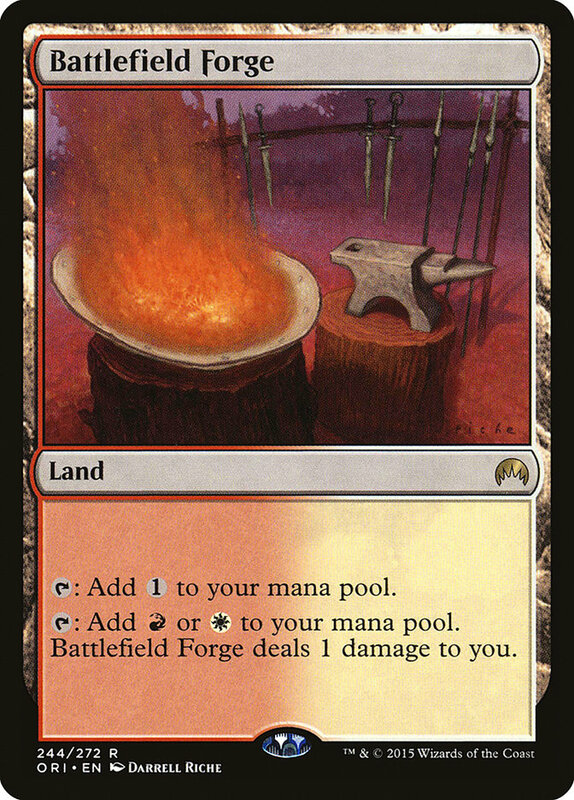 Standard is always built around the available manabase, and usually we have big changes at rotations. 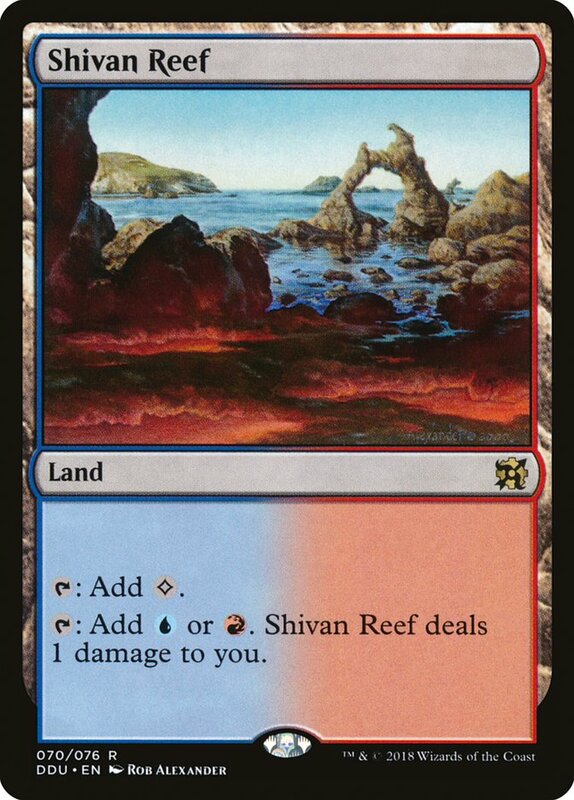 However, because Dragons of Tarkir was a third set of a block and Magic Origins was the last Core Set, the only cycle of lands rotating are the painlands. 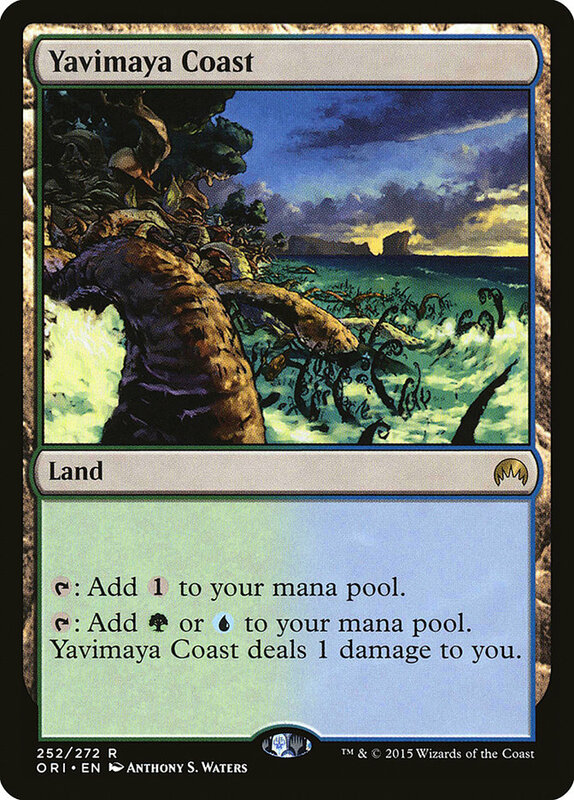 Since the painlands have been legal in Standard since Magic 2015, I think that their absence will be harder-felt than many expect. It's going to be particularly more difficult casting cards like Matter Reshaper and Thought-Knot Seer in multicolor decks without the help from the painlands. 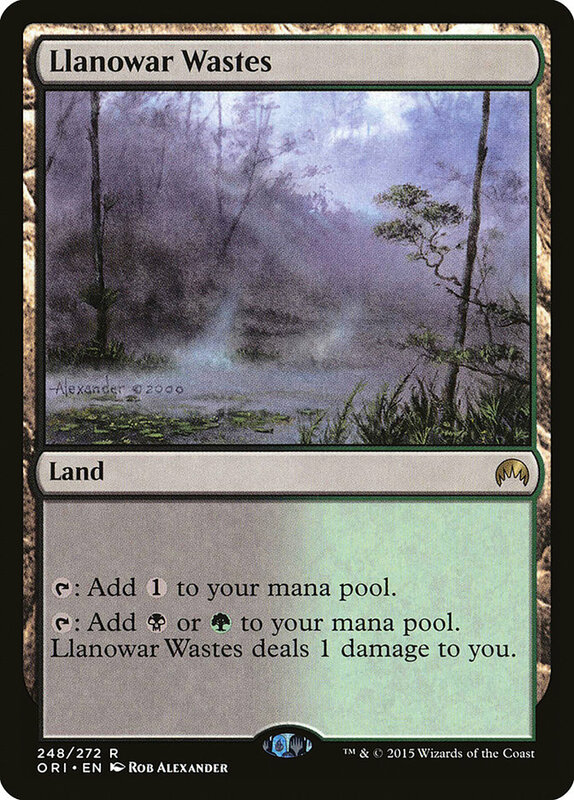 This has allowed the painlands to act as essentially three-color lands that entered the battlefield untapped. Counter, fight. I can't even begin to recall how many times I've said those two words during this Standard season, and those aren't even the only two modes on the card. Dromoka's Command has been the most-played spell that's rotating from Standard and has been a staple in aggressive decks ever since it was printed. 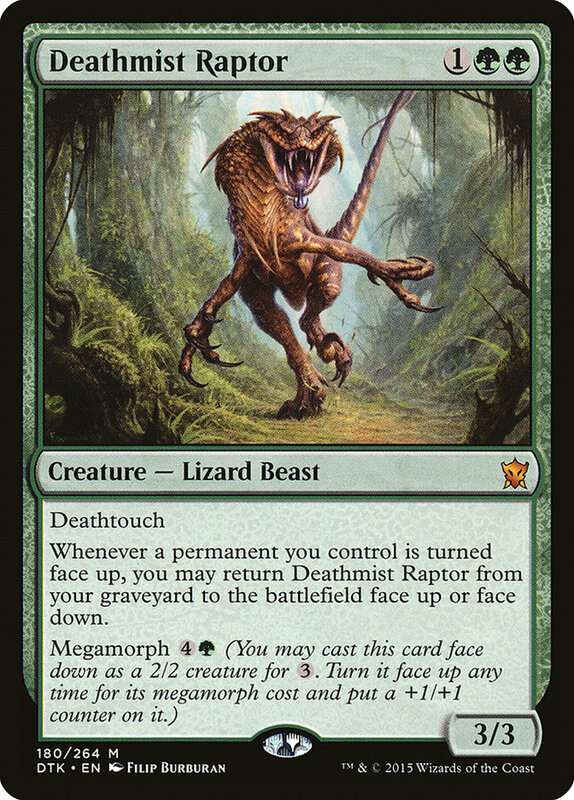 Abzan Aggro, G/W Megamorph, G/W Tokens, and Bant Company: all decks that dominated the format and consistently played Dromoka's Command as a four-of. Red mages will be glad to have their burn spells deal damage again, and lone enchantments will be able to see the light of day. 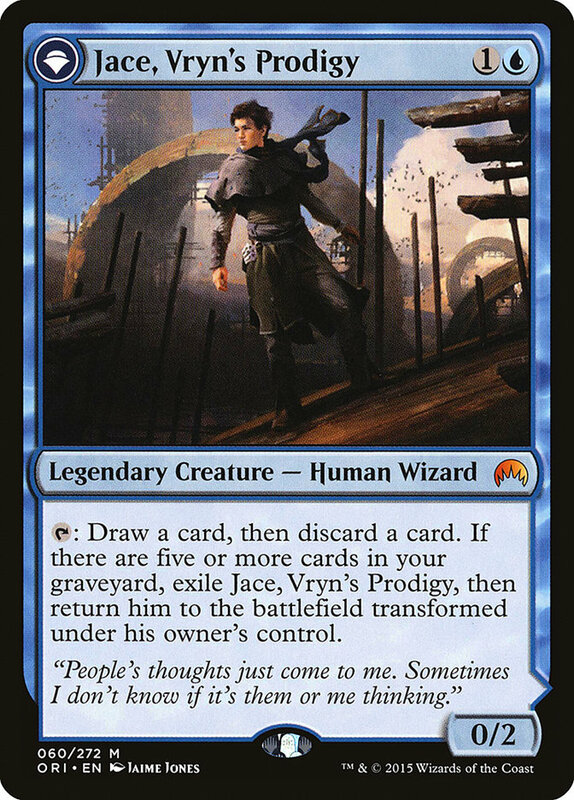 Jace, Vryn's Prodigy was the best card in Standard when fetchlands were legal and was even being splashed as the only blue card in some decks. Jace could reliably turn into a planeswalker after only one or two activations, and we have never seen a powerful planeswalker for only two mana before. 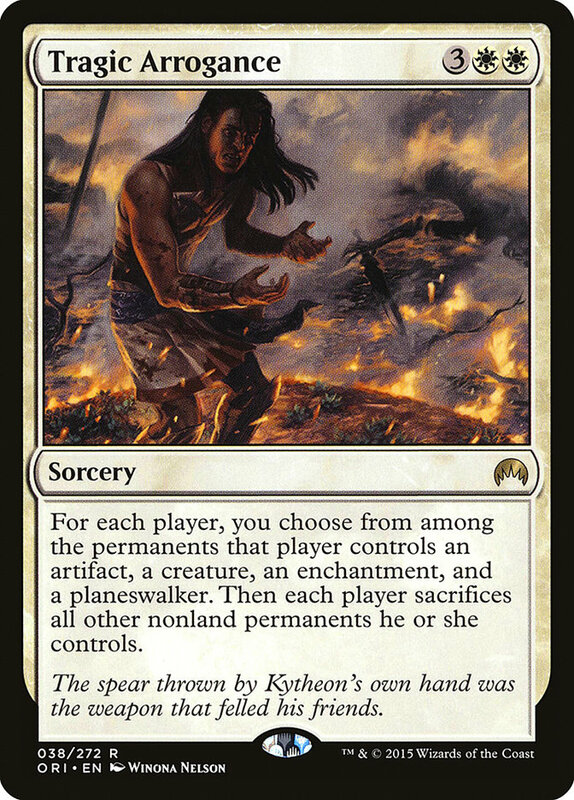 When the fetchlands rotated, however, he became a much smaller part of the metagame because of the drawback of taking longer to transform and the fact that it was harder to play four- and five-color decks. Even though he is still a role-player in Bant Company and some different blue control decks, Jace has seemed to fade out of Standard as opposed to being abruptly rotated out. 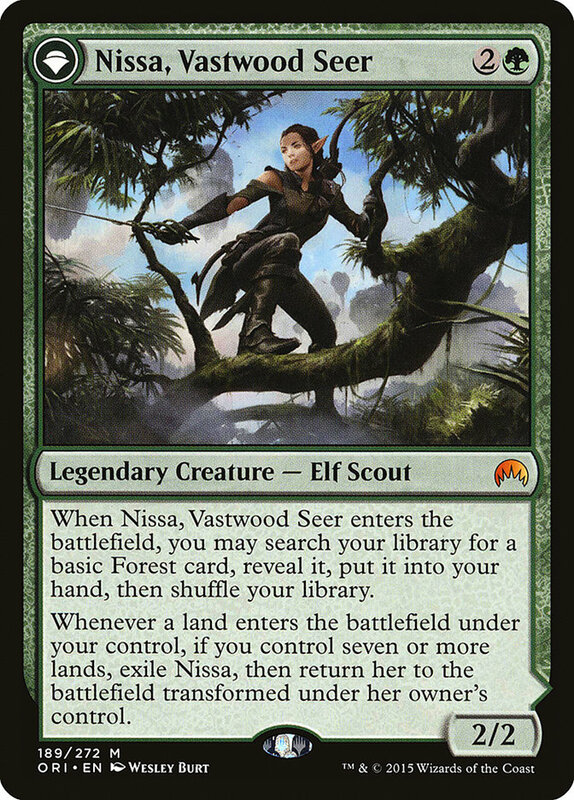 Although never a four-of, Nissa, Vastwood Seer has been a part of almost every green midrange deck since being printed. As of now, Bant Company and various Delirium decks will sorely miss the Elf Scout. Nissa is maybe the most card advantage built into a single card in Standard at the moment. She gets a land from your library immediately when she enters the battlefield, and when she transforms, Nissa, Sage Animist is a planeswalker that is comparable to other five-mana planeswalkers. 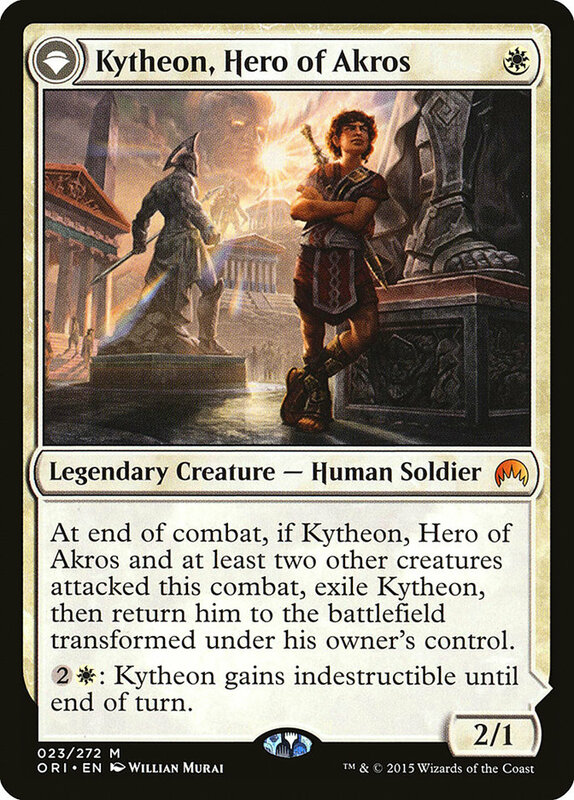 Kytheon, Hero of Akros took some time to see play, but when Shadows over Innistrad brought us Always Watching and Thalia's Lieutenant, it was Kytheon's time to shine. Losing Kytheon is a big blow to Humans decks, but probably not as important as having Languish leave the format. It will be interesting to see how Humans decks evolve moving forward. Overall I was a huge fan of the five transform planeswalkers from Magic Origins. I loved the design and the story behind the cards. I wish that both Liliana, Heretical Healer and Chandra, Fire of Kaladesh got to see more Standard play, but overall this cycle was a resounding success. The Dragonlords dominated the scene when they were first released, and Esper Dragons was the deck to beat in Standard. 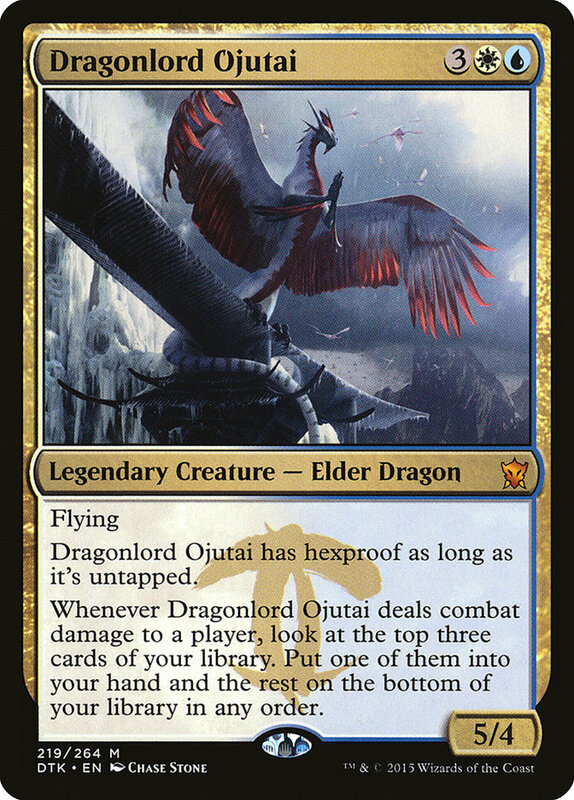 Dragonlord Ojutai was the king of the skies. So what changed? Why have they fallen off so much? I think that Collected Company and Reflector Mage have simply pushed the once-powerful Dragons out of the format. 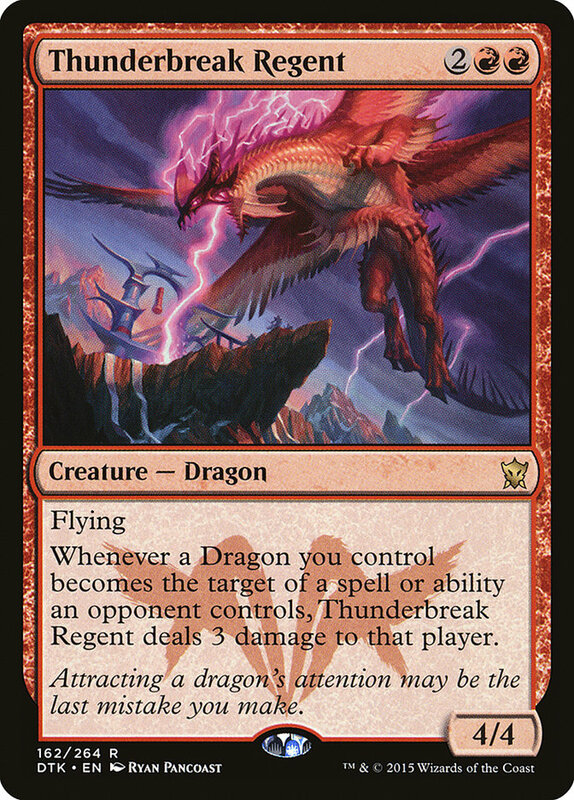 Thunderbreak Regent was just a little too small in a world of Grasp of Darkness and Languish as well, and never got the red support cards to help it. Dragonlord Atarka was the centerpiece of many G/R Ramp strategies, and I still can't believe its power level for only seven mana. 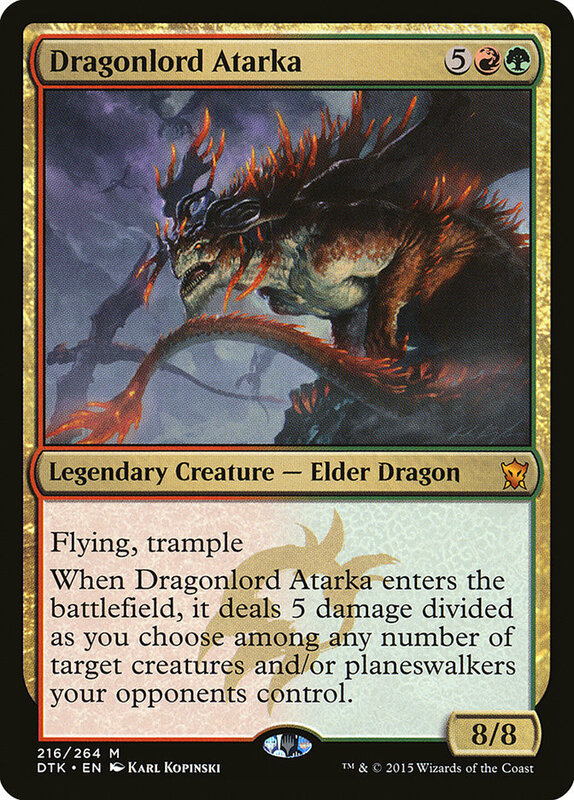 With how long games go in Standard, Dragonlord Atarka may be one of the most underplayed cards in Standard still. The last of the morphs, the megamorphs, are leaving Standard. Once the core of G/W Megamorph, Deathmist Raptor hasn't seen much play as of late as many other morph synergies have already left the format. I played this megamorph package in my G/B Delirium deck right after Eldritch Moon was released to some success, and it felt good returning Raptors from the graveyard again. 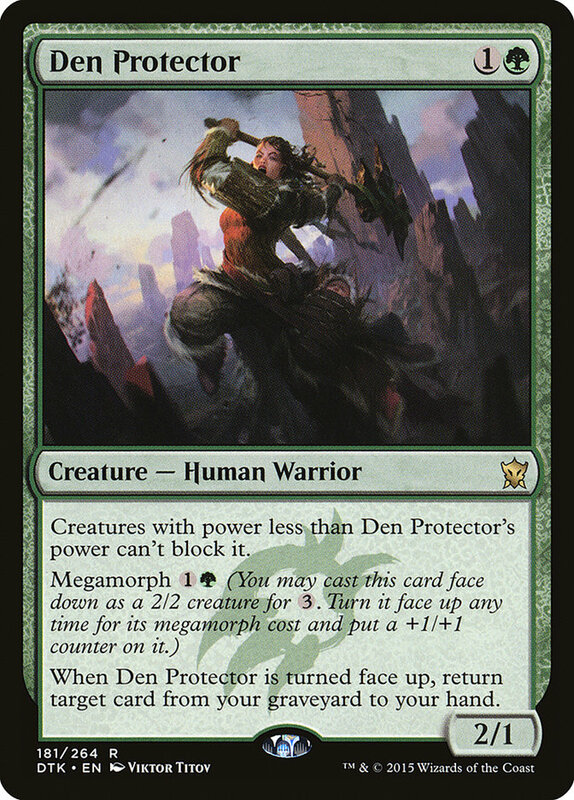 Den Protector is a card that will definitely be missed, however, as it is still used in many of the current Delirium decks as a Traverse the Ulvenwald target that can return any card in the graveyard back to hand. U/G Crush will also take a huge hit with the loss of Den Protector, as using it to loop multiple Crush of Tentacles was the deck's primary gameplan. Overall there aren't too many current format staples that are rotating in the fall. Many of the cards in Dragons of Tarkir and Magic Origins have been seeing less and less play as rotation nears. 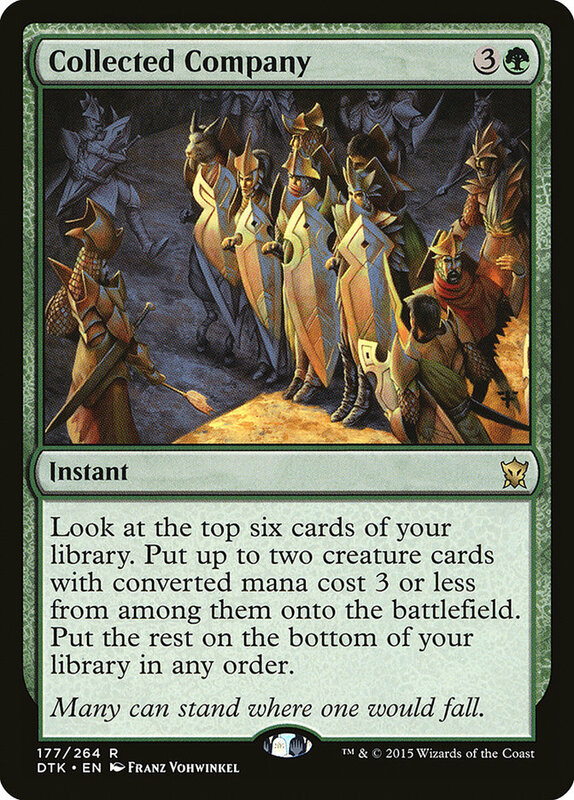 There are still some cards, such as Collected Company, Languish, and Dromoka's Command, that are extremely prevalent in the format, but this is one of the lowest-impact rotations of recent memory. To be fair, only two sets are rotating this fall, unlike the four sets that we were used to seeing leave at rotation. I'm finishing the article this week by highlighting some of the comments from last week's article, Modern Archetypes on the Rise (And on the Decline), which was about pairing Modern and Standard decks together. If you would like to be featured in next week's Comments from Last Week section, then leave a question or comment below and be sure to come back next week to see if you made the cut! Todd, do you feel Blessed Alliance is a good pickup in the Bant Eldrazi sideboard? It's effective in the aggro matchups that tend to attack with one creature – Infect, Death's Shadow Aggro, even good against Bant itself as a clean answer to Reality Smasher? It can wreck havoc in combat and has some work against Burn, clearing away an attacker and netting four life. Thanks for the question, Charly, and I think you answered most of it yourself. I do think that Blessed Alliance is a good sideboard card in Bant Eldrazi, and I played two myself in a PPTQ last weekend. It is a versatile spell that can be sideboarded in many matchups like you listed. 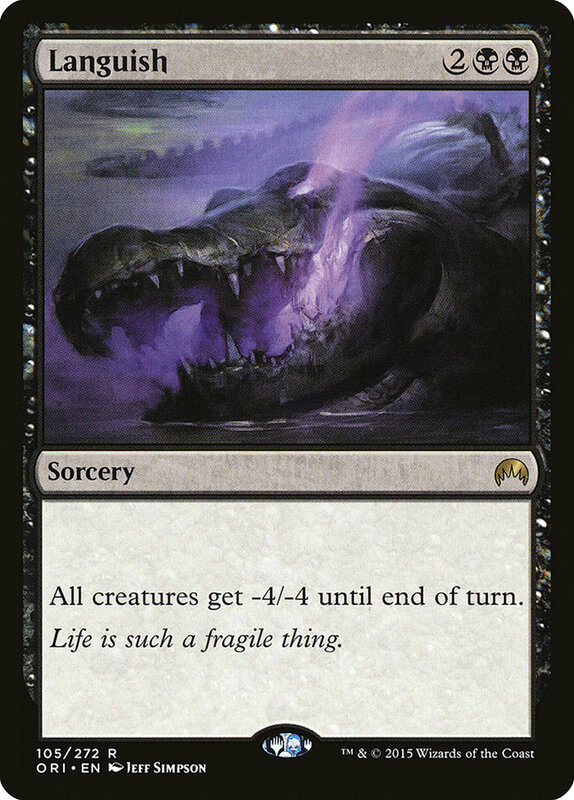 It's also quite useful at getting rid of a Slippery Bogle. Don't forget that you can cast it during combat after damage has been dealt, so you can block smaller creatures and make your opponent sacrifice the creature you want them to. For Naya Company, have you tried playing 3 Scavenging Ooze maindeck and playing Grafdigger's Cage in the sideboard? I went to two Domri Rade and one Chandra, Pyromaster (-3 Collected Company) and put three Grafdigger's Cage in the sideboard to shore up that weakness. Company is explosive but the planeswalkers are consistent card advantage. So to clear up the situation here, Dan is saying that he replaced the three Collected Company in his maindeck with two Domri Rades and a Chandra, Pyromaster. The three planeswalkers were in the sideboard before, and moving them to the maindeck allowed three slots for Grafdigger's Cages. There are downsides to doing this, as taking Collected Company out of the deck removes potentially the most powerful card in the deck, and the planeswalkers are not as effective against the entire field. However, the reward of having Grafdigger's Cage in your deck is pretty massive, as Abzan Company, Kiki Chord variants, and Dredge are your absolute worst matchup. So if you want to have a fighting chance against the entire field, I like the changes you're proposing. However, if you want to have the most powerful deck that you can and give yourself the best chance to win a long tournament, I think that having Collected Company in your deck and hoping to dodge the bad matchups is the way to go. We're on the home stretch of the SCG Tour®, and if you are wondering what to play this weekend, and if your goal is the tournament, I would recommend Bant Company. This is the last Standard Open that you can Collected Company, and it's just simply the best deck. Every point matters for me and I don't have time to try out fun decks anymore. I need to play the best deck in the room. Company into double Reflector Mage, one last time. Fix Or Kill Modern. Period.